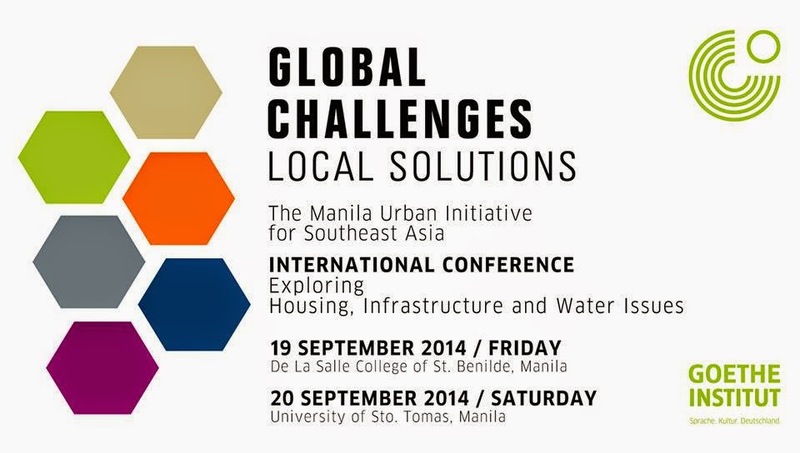 The International Manila Urban Initiative for Southeast Asia: Global Challenges | Local Solutions conference will be held on September 19-20, 2014 in Manila. The international conference will assemble a unique gathering of global and Philippine experts in Manila to debate and discuss the future of the Asian city. The Goethe-Institut Philippinen has taken a leadership role in organizing the event, which was jointly conceptualized by Tobias Guggenheimer, Dean of SoFA Design Institute, and Dietmar Leyk, director of the Berlin based Leyk Wollenberg Architects. Speakers from Cambodia, Germany, Indonesia, Malaysia, Myanmar, Singapore, Thailand, Vietnam, New Zealand and Australia will join Philippine colleagues for the two-day event. Changes to urbanized regions in Southeast Asia affect millions of people. Populations grow rapidly. The physical and the social infrastructure have not kept pace with the demands imposed by these changes. Regional hubs, which were already big, are in the process of evolving into a new urban typology: The Megalopolis. The Global Challenges | Local Solutions conference proposes to deepen and to evaluate examples of alternative strategies in three thematic panels: Housing, Infrastructure and Water. UPDATE: Due to typhoon Mario, September 19 schedule was cancelled. Day 1 of the conference will start on Sept 20, not in UST, but will be held in the Marseille Function Room at the DLSU-CSB Angelo King Institute (CSB AKI Hotel), Arellano corner Estrada St., Manila. The program starts at 10AM. However, there is no advice yet regarding Day 2 schedule. Please check back this post for further updates. Thanks. The conference is mainly supported by Goethe Institut Philippines. Additional support is provided by the regional Goethe-Instituts in Australia, Cambodia, Indonesia, Malaysia, Myanmar, New Zealand, Singapore, Thailand and Vietnam.